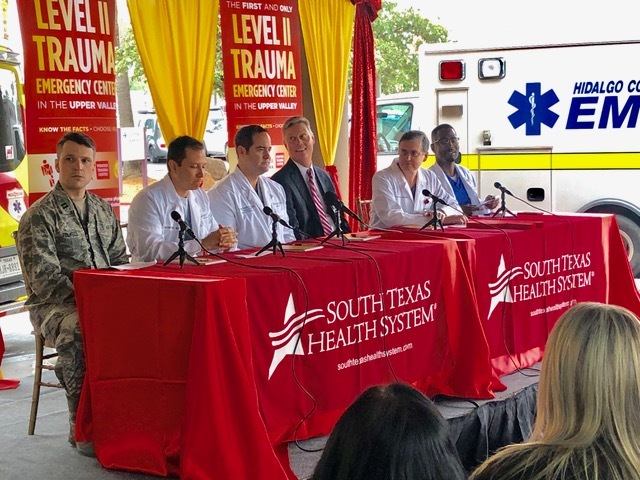 McALLEN — Monday was a day for celebration for McAllen Medical Center as it publicly announced its recent designation as a Level II trauma center. The Texas Department of State Health Services designated the hospital a Level II trauma center in October following accreditation by the American College of Surgeons, said McAllen Medical Center CEO Todd Mann, who added the hospital has been operating at the Level II status for “quite some time” before it received the official designation. The only other Level II hospital in the Rio Grande Valley is Harlingen’s Valley Baptist Medical Center, which received that designation by the state last February. Because of its location in the upper Valley, McAllen Medical Center receives patients from as far west as Laredo, as well as from nearby Starr and Brooks Counties in addition to those from Hidalgo County and even patients from Reynosa. It has about 33,000 emergency department visits a year. Given lawmakers’ focus this legislative session on expanding the state’s network on Level I trauma centers — the highest designation — the hospital’s CEO and surgeons emphasized that Level I and Level II care are clinically the same. The only difference between the two is the research and teaching component, which is why many Level I hospitals are affiliated with a university. McAllen Medical Center already partners with the University of Rio Grande Valley School of Medicine, and students in its Physician Assistant Studies program complete rotations in its intensive care unit. It also launched a fellowship program two years ago with San Antonio Military Medical Center, the Department of Defense’s only Level I trauma center, through which SAMMC surgeons perform surgeries in the Rio Grande Valley. 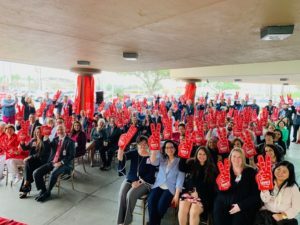 “We felt the bigger need was, ‘let’s get the clinical component so we can be taking care of residents of the Rio Grande Valley sooner rather than later,’” Mann said of McAllen Medical Center’s focus on working toward the Level II designation. As it looks to become South Texas’ first Level I hospital, Mann said the focus will be on having an internal research program rather than one tied to a specific university. Another area hospital hoping to reach Level I status is Doctors Hospital at Renaissance, which has worked on building support from area lawmakers and city officials across the county to have the Texas Legislature budget money to help hospitals make the transition to the highest trauma level. DHR is currently designated a Level III facility.